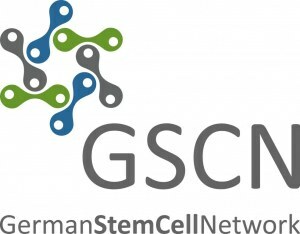 The 6th Annual Conference of the German Stem Cell Network (GSCN) will be held from 19 - 21 September 2018 in Heidelberg and be hosted by the German Cancer Research Center (DKFZ). The venues for the conference will be the DKFZ Communication Center and the Marsilius Kolleg. In addition the DKFZ will host the 10th International Behr Symposium on Stem Cells and Cancer from 16 - 19 September 2018 and further events accompanying the GSCN conference are in planing. We expect about 400 participants. Working group discussions, two poster sessions, meet-the-expert-tables, an industry exhibition, extensive breaks and two evening events will offer many opportunities for exciting discussions, academic exchange and reconnecting with old friends and colleagues. The conference will cover the latest findings in stem cell biology in Germany. Since promotion of junior scientists is a particular aim of the GSCN, most speakers are selected from the best abstracts that have been submitted. Again, awardees of the GSCN prizes will present their results during the Presidential Symposium. The program will be completed by invited keynote lectures to present the international points of reference for this fast growing field of research. We are happy that Allison Bardin (Paris), Steve Goldman (Rochester), Irene Miguel-Aliaga (London), William Pu (Cambridge, US) and Leonard Zon (Cambridge, US) have agree to give keynote lectures on their most recent results.